WRWP signed a Cooperative Work Agreement March 1, 2016, with White Lake Association, White Lake Sport Fishing Association and White River Steelheaders. You can learn more about WRWP's cooperating organizations by clicking on the links to their websites in the right side column. Restoring native habitat is critical to the survival of Michigan’s lucrative fishing industry. 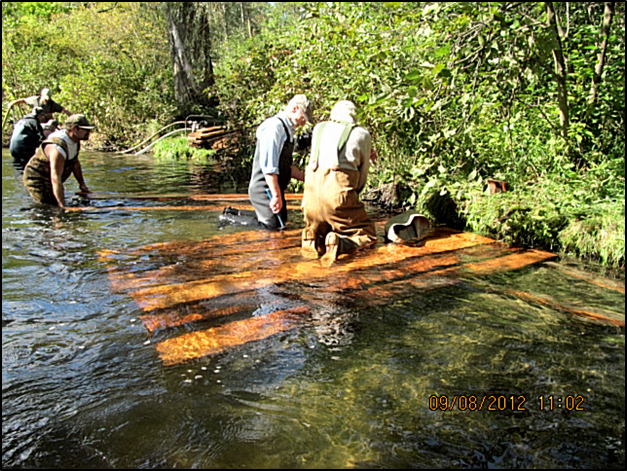 White River Steelheaders work together to restore fish habitat along the riverbed of the White. 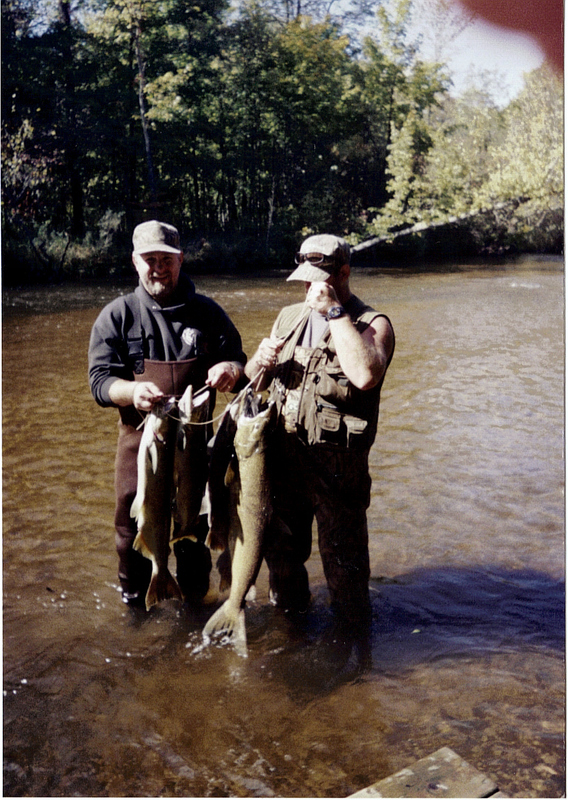 Steelheaders Larry Armstrong and Gary Seadorf reaping the rewards of their labor.